You’ll be shifting as SHIFT,HAPPENS around you and thriving in this ever-changing world.Innovation is the quickest, most effective, and most lucrative path to success. Waiting for another firm to introduce a product, then playing catch-up may be fine if you are IBM or Coca-Cola and can afford to wait. But such companies are notable exceptions in the game of competition. For the majority of businesses, real success comes from their own efforts and from timing – their ability to be there first, not from feeding off the ideas of others. And with product and brand proliferation in the marketplace of today the consumer is BEGGING for really innovative solutions to their perceived needs and problems. If you aren’t RE-INNOVATING, chances are you’ve dropped into the “price barrel” along with all the other “me too” products and services. So how does a firm or an individual begin to use creative thinking in order to innovate? First, understand that innovation isn’t always about inventing products using new technology. Thousands of successful products or services are used in a radically different manner than originally intended; the result…INNOVATIVE new positions for old products. In these cases the true Innovation is in the new method of application rather than in the unique nature of the original concept. For example, using PROCESS INNOVATION, you may redirect your excess capacity or processes to support your most profitable products or services. Innovation is how we make money from creativite thinking– we sell the idea and show others how to apply it to solve a variety of problems. This is a story about a young girl’s birthday party demands and how they spawned a true INNOVATION in the world of photography. Daddy , happily snapping shot after shot of her and her friends was mildly put out when his little daughter stamped her foot and demanded “I want to see my pictures, NOW, Daddy!” Her Daddy happened to be Edward Land. Her demands started his 3D THINKING wheels turning; : “Well, why can’t she have the pictures now?” The INNOVATIVE solution that came from a 5 year old’s party was the Polariod LAND camera. It occurs to us, with example after example of real INNOVATION that comes because people recognize a need that can be met and, IF ONLY…… WHAT IF? Are part of their vocabulary. Perhaps we all need to think more like a child and imagine that we can have that picture now. Zoom ahead a few years and we see that Polaroid is in bankruptcy. They missed the digital revolution because they forgot the modest beginnings. How could this happen? One common way is when the management of the corporation stifles creativity throughout the organization.This could be due to an overemphasis on the bottom line on a cautious approach to spending. Centuries ago, kings and other royalty had many “yes-men” by their side. The yes men played an important role; they simply reinforced the kings choices. But the wisest kings employed fools who had special permission to make fun of and criticize the king’s policies without fear. Here’s an example of what we mean; In 1941, a scientist went hunting with his dog. When he arrived home, he found that wood-burs were stuck to his woolen jacket and trousers. He was fascinated with the burrs ability to grab hold of his clothing so tenaciously and decided to examine them to find out WHY. Carefully inspecting the burs under a microscope, he found hundreds of little hooks engaging the loops in the material. The scientist, George de Mestral, made a machine to duplicate the hooks and loops in nylon. He called his new product Velcro, and the rest is history. Today thousands of uses for Velcro® Fasteners exist, in both personal use and industry. This is all thanks to a man hunting with his dog in the mountains who was willing to ask WHAT IF… and followed it to where it led him..
Then we forget then someone one else hits on the same idea and it’s too late. The solution is to keep a pen and paper handy in every room of the house, especially by your bed and near the shower. When you are driving, use a dictating machine in the car. This way you can archive your thoughts before you forget them. Innovation requires more than creative thinking. It is also dependent on the development of ideas into products and services to keep your company shifting as SHIFTHAPPENS. And that takes true determination. In the end, your determination to succeed is the ultimate stimulus for achievement. Although many people can create with innovative concepts, only those who are determined to implement those ideas achieve success. Once you nurture your ideas into being, charge ahead with the innovative spirit that all successful companies possess. Remember that innovation combines effort and timing, and capitalizes on our desire to be first. Using this approach, your business has very opportunity to achieve success. Identify the components of the problem. Using the concept of going inside the box, determine the components of the problem. To fully understand a problem we must break down all the elements that create it. Use the KnowBrainer to generate ideas, questions, images, and what the end results would be if you could predict them. First write the problem down. Second write down the desired solution. Then breakdown all the elements that are contained in the problem that could create it in the first place. And determine what are the next steps and desired income, etc. Understand how to utilize the components in the solution of the problem-solving process. Define the problem in the most concise and focused manner. Select the components of an information collection plan. Learn how to collect information. Identify the characteristics of an innovative solution. Complete the Depth phase of the 3DThinking™ process. If you do not define the problem correctly you will be working to reach the solutions to the wrong problem. Take your time. Visualize the end results and see if the problem is articulated correctly. Select process-based strategies for generating solutions. Identify market-opportunity strategies for generating solutions. Identify the solution generation strategy being used. Identify the steps for selecting the best solution. Sequence the steps for selecting the best solution. Identify the steps for plan preparation. Sequence the steps for plan preparation. Identify administrative actions that should be performed before implementing your solution. Complete the Distance phase of the 3DThinking™ process. Identify the steps to ensure that a solution is implemented correctly. Sequence the steps to ensure that a solution is implemented correctly. Implementation of the innovative solution. Determine ways to make a solution profitable. Select the guidelines for communicating "shifts" to the organization. 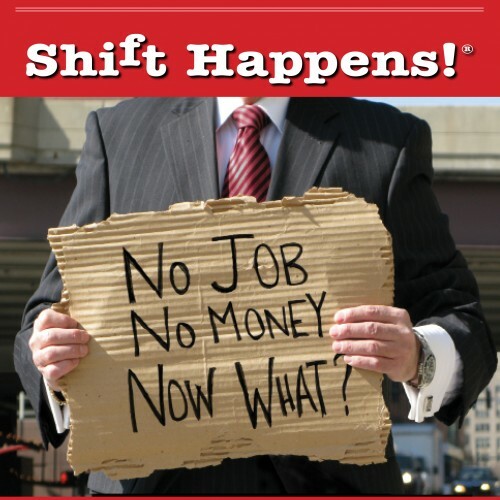 Communicate "shifts" to business associated affected by a solution. Identify the components of the third phase of the problem-solving process. Identify the components to include in problem-solving documentation. Complete a 3DThinking™ action plan. Complete the Determination phase of the 3DThinking™ process. 3DThinking takes practice. Go over the slides. Find problems to solve that are NOT critical to your business or personal life. Just like any skill you must practice. Solve problems. Break them down into components then use each of the various methods to add, subtract, multiple, divide the components to see what can be done with them to reach different results. Imagine that a simple technique you have used all your adult life will help you to find effective solutions to your most complicated business problems. Picture yourself using a mental image to create solutions that work. By approaching problems with this new method, you can take control of the various challenges life presents and influence the outcome in a positive way. What is this technique? Actually, you have just used it. It is called visualization, and successful people worldwide use it every day to achieve their goals. We often refer to a person who sees things that don’t exist as crazy or weird. But what do you call a person who sees things that don’t exist…YET? We all know of people who “see” a vision of something that hasn’t happened or doesn’t exist yet, who then work to make it happen – we call them visionaries. Jules Verne was a visionary author who wrote in detail about travel to the moon and exploration of the oceans before people had the ability to do these things. Although he hardly made enough money to pay for the paper he wrote upon, his ideas influenced others to pursue his visions. And then there’s the college dropout who envisioned the most popular operating system for computers. He was a computer nerd who is now worth billions. We’re speaking of Bill Gates, of course. These people learned that the solution lies within the problem they are trying to solve, and they use visualization to arrive at the answer. You, too, can produce positive results through innovative problem solving, such as increased company profits, new products and services to market, and innovative ways to attract new customers. With visualization, you’ll find your solutions by carefully analyzing the components that make up the problem, rather than looking to outside sources for solutions. The good news is that we all have the ability to be visionary. You can use the techniques of the visionary by applying the same process you use when you remember something. When you remember, you are recalling images, smells, textures, sounds, and feelings. In your mind, it is as if these events were really happening again. A variation of remembering is imaging. This is when we use our imagination to plan effectively for reality and to help produce positive results for our future. You may have noticed that many athletes talk about “visualizing” their event. Long before the actual competition, they imagine the event in complete detail and “see” themselves winning their event. Olympic athletes use this technique all the time. For example, great runners picture themselves at the starting line. They hear the starter’s gun and see themselves coming up out of the starting blocks. They feel the track beneath their feet, hear the roar of the crowd, and see the finish line ahead of them. Finally, they picture themselves breaking the tape with joy and triumph as their fellow athletes congratulate them. When you create an image of what you want to happen, you will naturally follow it, whether that image is of you closing the deal, buying that new business, or advancing up the corporate ladder. Remember, the body believes what the mind conceives. Pressure to grow the business, increase shareholder value, and create competitive advantages requires innovative thinking. Principles that were good in the past may not be applicable in the future. Get proactive in your business by dedicating yourself to problem solving. How you think is everything, so focus your thoughts on success and innovation. Rather than follow the tried and true, break away and find a new and more effective way to do something. Evaluate the past and use it to build on the future. New approaches may require an emphasis on service, to bring the fresh ideas to your clients. Review Past Failures. Understand your company’s “pain” and find the cure. You must understand failure and learn from it. As you evaluate the failures from the past, remember that successful companies combine an immense drive for profit and an indomitable spirit with exceptional intuition learned from their own failures as well as those of others. Businesses that aren’t growing or are having profitability or client service problems have ignored the signals that point to change. Great leaders embrace change because they see opportunities instead of problems. Learn to think like a leader, and then follow through on your ideas. To fully embrace change you must first study it to understand it, and then have the courage to act. When you follow these principles as demonstrated by successful leaders, you will rise above the competition and learn to lead your company to success. For the committed leaders who take the high road and stay true to their goals and ideals, success is the ultimate reward. How can you turn your remembrance or your mental image into reality? Simply imagine the end result first, and then work backwards to create the path to get there though visualization. For example, if your end result is to increase company profits by 50%, envision yourself already at that goal, and then see the steps you took to get there. Maybe it involved an innovative marketing campaign, adding staff, improving quality, or reducing overhead expenses. When we can picture our future the way we want it to be, we open up great possibilities for ourselves that we never before imagined. So if you can visualize the future, you can formulate the steps to get yourself there. Visualizing is a learned skill that can help you accomplish what you want in your life. You can also use it to prepare to deal with problems if and when they arise, which are more constructive than simply worrying. So invent your own future today, as many successful people before you have done. Decide what you want, then use visualization to achieve actualization. In your mind’s eye, turn your daydreams into concrete goals for your business and your life. If you can imagine success, then you can use this image of success as a starting point and develop a specific plan of action to attain your goals. It’s your future, so go out and create it. Use this to reinforce the 3D THINKING process when you come up against a problem that needs solving or an opportunity that comes to you “out of the blue” Use additional paper if you require it. Do not limit your thinking to the space provided. Once outside the box you can think outside the box. Expand your thoughts, fill the page and more. THINK ON PAPER. THINK IN THE KNOWBRAINER.